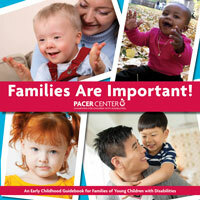 PACER Center provides a wide array of services to help parents advocate for their children with disabilities. 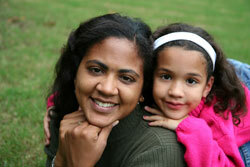 The project is staffed by parent advocates who assist parents by distributing informative materials, conducting workshops and trainings, and providing one-on-one consultations with parents throughout Minnesota. Parent advocates help clarify existing laws, explain school procedures, develop strategies for working with schools, and answer questions about everything from transportation to parental rights. 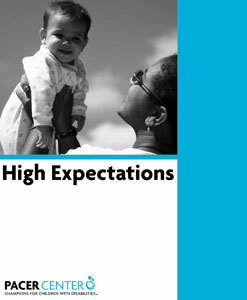 The information in this booklet can help parents think about the steps involved in encouraging decision making skills in their young children with disabilities. 2009. Helps families of children with disabilities or delayed development understand Minnesota's early intervention system and how to access services for their child. 2014. Helps parents who have just learned their child has a disability to maintain high expectations for the child's future while challenging the low expectations of others. 2009. New! 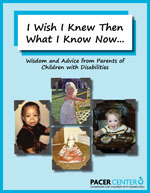 By sharing the feelings and experiences of 21 siblings from age 5 to 47, this booklet provides a way for families to explore the unique challenges and benefits siblings of children with disabilities may encounter. 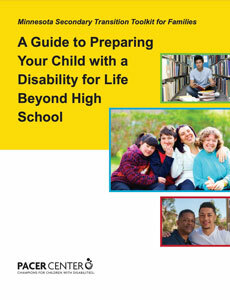 Tips for parents on raising siblings of children with disabilities are also included, along with resource and book lists for all ages concerning the sibling relationship. This brochure provides families with information on the importance of children attending school regularly and on time. It also explains Minnesota laws on school attendance and truancy: being frequently absent from school without permission or a valid reason. 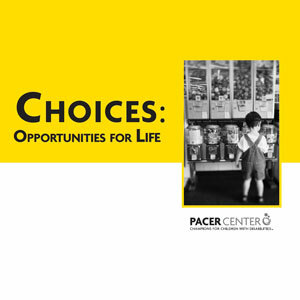 If children have multiple unexcused absences, this brochure can help families encourage school attendance and understand possible consequences of truancy. * To download the MP3 files, right click on the Download link and select "Save Target As.."
Choose where to save it and click "Save". Then, open the file in desired media player upon completion. These activity cards help your child develop math skills that are important for learning success. You can do these fun skill-builders at home, in your neighborhood, and on the go! For children in grades K-3. (See Translations pages for Hmong, Spanish, and Somali.) 2015. 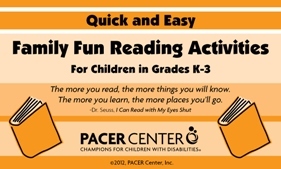 These activity cards help your child develop literacy skills that are important for reading and learning success. You can do these fun skill-builders at home, in your neighborhood, and on the go! For children in grades K-3. (See Translations pages for Hmong, Spanish, and Somali.) 2012.